The city of London is a beautiful and attractive place to reside with your loved ones. The people of the city are so impressed with its serenity that they intend to have a slice of it in their house. Whether it is for the work of home interior decoration or building of workplace, everyone tries to make it impressive. If you have a desire like the rest the artisans at London Local Builder is just the right choice. Our professionals can actually bring out the best design and style for your wood structure. The fact cannot be denied that the wooden elements bear a distinctive essence and attraction. A well-built artefact or structure could add a lot more change to your property. A number of homeowners in London are using wood as their building material. 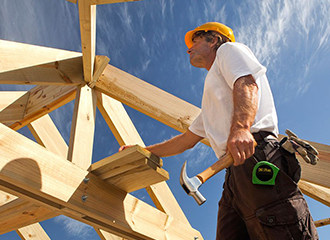 The skilled and experienced professionals of London Local Builder are efficient enough for handling any sort of project size. We offer the best quality service at the best service rate. Either it is for a complete home makeover or some basic additions we can serve you with quality service. Besides this service, we are also known for other services. Some of which include refurbishment, bathroom installation, plastering etc. We take great pride in matching up to the expectations of our customers.